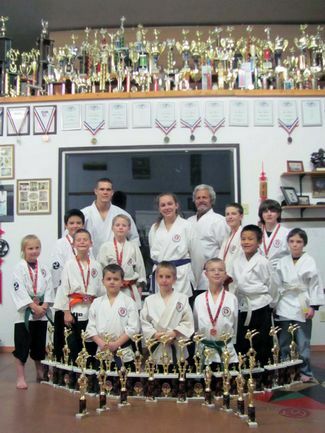 This year ShinPu-Ren Family Karate school students brought home three of the coveted Grand Champion trophies from the USKA sanctioned Arizona State Championships in Phoenix. Grand Champion is awarded to the person who defeats all other first place winners of four select groups. Shihan Alex defeated all Black Belt Divisions in both Kata (forms) and Kumite (point sparring) earning two Grand Champion titles. 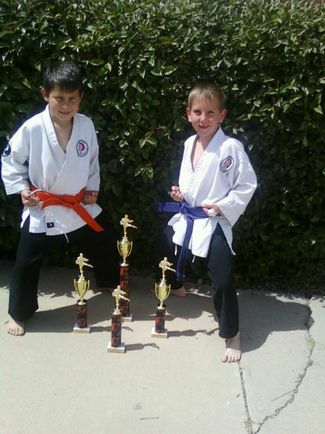 New to competition, one of the Dojo's beginning students won the Youth Kata Grand Champion. The team's total for this year's State Championships was 28 top three placings, with 11 first place, 9 second, 8 thirds, 2 fourths and 3 Grand Champions. Four first-time competitors attended. The youngest competitor was one of the 5-year-old Mighty Mights, who brought home a second place in Kumite. Two competitors who are Yavapai College students placed in the top three. Everyone who attended State has qualified to compete at Nationals this March in Las Vegas. 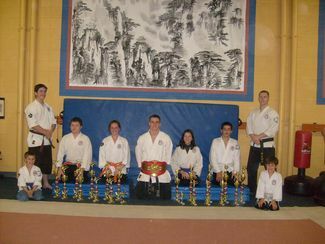 Shinpu -Ren had ten students that attended this years State Championships, four of whom were first time competitors. As a group they captured four Champion titles and they have all qualified for the 2013 National Championships. 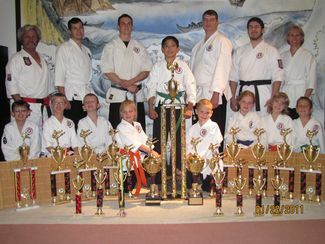 Shinpu-Ren Karate students capture 11 state champion titles. This years team did an impressive job of bringin’ home the gold. 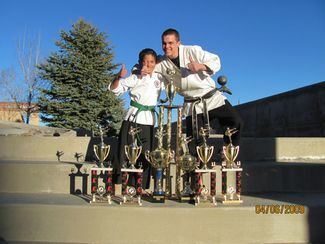 Shihan Alex and Intermediate student Tye captured not only State Champion Titles in Kata and Kumite, they both captured Grand Champion Kata Titles. Shihan Alex also Captured the Black Belt Men’s Grand Champion Title for Kumite. Four of this years team members were Yavapai College students, competing for the first time. Over all the team won 8 State Champion Titles and 15 top four additional placing’s. 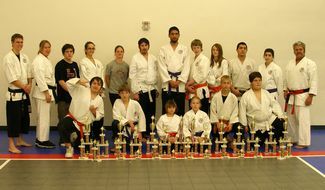 Shinpu-Ren Family Karate students attended the ASKA Arizona State Championships in Phoenix on January 16th. Two of the students were first time competitors and both of them came home with State Champion Titles. This years team did very well overall and in total brought back four State Champion Titles, Two Second place Titles, One-Third place and One Fourth place. Thirteen of the Shinpu-Ren descended on the Arizona State Championships Karate Tournament this past Saturday the 10th of January. U.S.K.A, U.S.K.K. and A.S.K.A associations sanction this tournament. Overall the students returned with 25 top four placing’s. 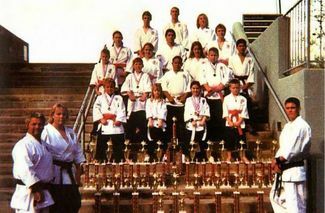 Eleven of those were State Champion Title wins plus the Grand Champion Title. Shihan Alex Morris brought home the Grand Champion Belt for Adult Men’s Black Belt Kumite, beating out the current Hall of Fame Grand Champion titleholder. Some of the students that participated were first time competitors. All of the students that placed at State are now eligible and will receive invitations to the U.S. Nationals that will be held in Albuquerque N.M. in April. 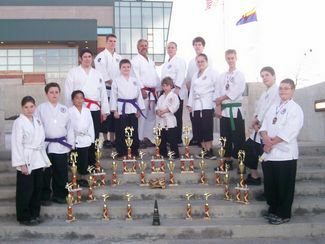 Shinpu-Ren Family Karate of Prescott Valley takes 18 competitors to The ASKA / USKA, Arizona State Championship Karate Tournament. Special addition to this year’s group of students, were three students from the schools satellite P.E program. All of the students that attended this year’s competition did very well. All of the P.E. program students placed respectably in their divisions bringing home two first place titles, one 2nd place and one 3rd place title. Of the three, one P.E. student in particular shone by capturing the Grand Champion Title for the under 18 beginning Kata division. 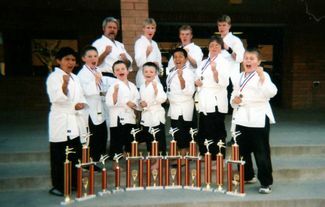 Local Prescott Valley Karate School, Shinpu-Ren Family Karate, takes 18 students to The Arizona State Championships in Phoenix. Many of the competitors this year were first timers, and every one of them placed in the top four or their divisions. Two of the intermediate teen students, Nathan Cecil and Hannah Vanert, captured State Champion Titles in both their Kata and Kumite competitions. Once again making the school proud, students walked away with 29 top four placings. 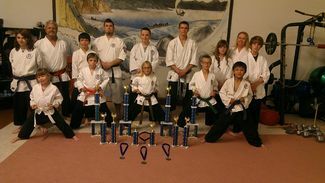 Shinpu-Ren Family Karate takes 13 students to The ASKA, USKA, Arizona State Championships and captures 21 top 4 placings. This year’s competitor ages ranged from 8yrs to 42 yrs. of age. Students are eagerly anticipating heading to the USKA National Championships in Albuquerque, New Mexico next month. 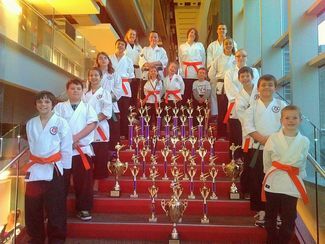 Prescott’s own, Shinpu-Ren Family Karate School takes 19 students to the Arizona State Championships and captures 29 top 4 placings. First time competitor Jesse Cooper Triple Crowns at the tournament taking two champion titles and The Grand Champion Kata Title. 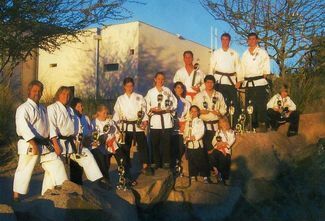 Ten Competitors from Shinpu-Ren Family Karate attended the ASKA State Championships in Scottsdale, Arizona. Seven of the students were first time competitors. Making their instructors very proud, they were able to take home six State Champion Titles this year. There are now thirteen students in the school qualified to attend the National Championships in March. Nationals is a by invitation only event.